Woot woot! 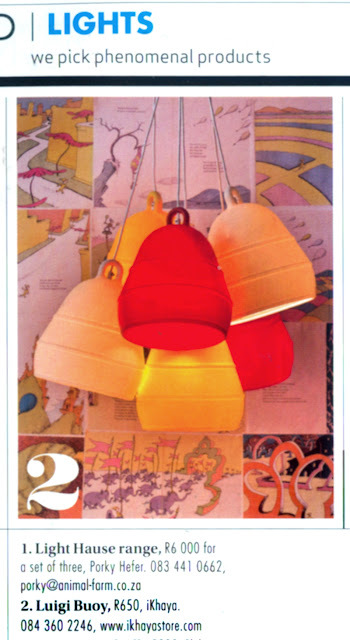 Pg 34 VISI Autumn Issue, Luigi Buoy lights, iKhaya. On an expedition, two lovely ladies had an idea, the idea was made real by a man with clever hands (and one trip to the A & E), the ladies promise to always go on expeditions and to use their busy hands and create even more products.